Enma, don’t be so sure that you’ll be able to beat Tsuna. There two factors affecting the outcome of this battle. First: Tsuna has acquired power that is equivalent to that of the Shimon’s when using the blood of their First. Second: Tsuna isn’t fighting for Vongola like Enma is for Shimon. Tsuna’s friendships will provide him strength that he can never obtain if he were to fight for something other than for his friends. 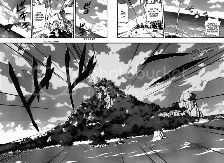 Enma and his family are connected through the common goal of destroying the Vongola and restoring the Shimon Family back to its previous days of glory. Two very different families, which will be the one to prevail? I’m on Vongola’s side. :3 ahah. I had the same reaction as Tsuna when I read the line ‘asleep in my bed’. I was like– ‘what? =.= come again?’ . Wouldn’t it be awesome if Mukuro came out? 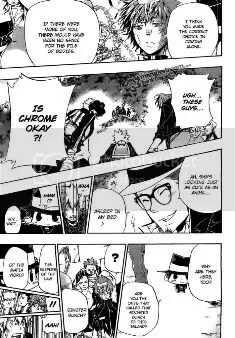 ahah, I bet it would freak Julie out to see cute and kawaii Chrome turn into a guy with an eerie feel to him. I never expected for the Vindice [or is it spelled Vendicare?] to show up… but they did. I think they’re awesome and should appear more often. 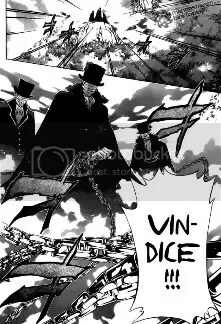 But they came to the battle to fulfill their promise to Vongola Primo and Shimon [translations said second but I thought it was first] Second. 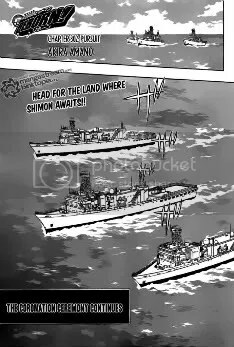 This entry was posted in Katekyo Hitman Reborn, Manga, Reading Right Now and tagged Shimon Family, Vongola Family. Bookmark the permalink.